I took this image in Alabama Hills, California. My classmates and I were on a camping trip that was through our Nature Photography class. I was lucky to have a bunch of good friends in class and it made for a really crazy adventure. 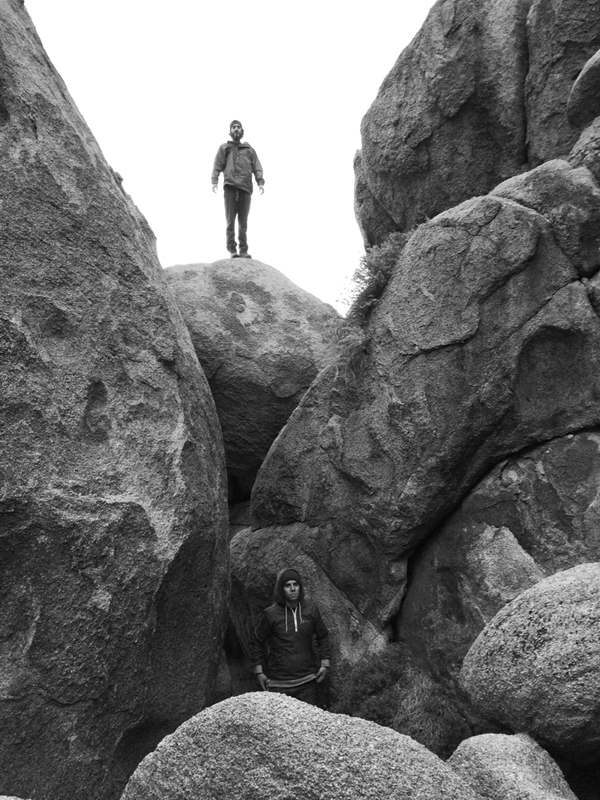 My friends Nick Korompilas and Devin Csiszar posed for this image after an intense climb through some very large boulders.